An evening to cherish for the whole of Manchester. 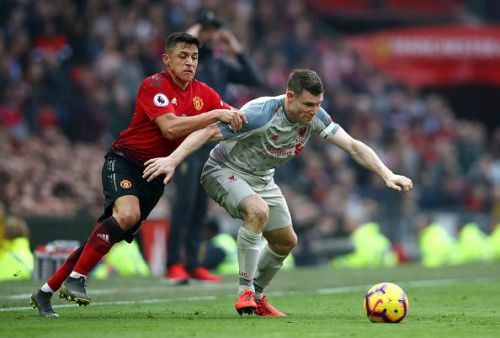 While one part would be happy with their own performance, particularly to salvage a point after being forced to use up all three substitutions before the interval, the other also would be utterly pleased that Liverpool dropped two points over an injury-strewn Manchester United. Very few would have anticipated at the start the kind of disruptive blows the hosts would start copping from the outset, setting Jurgen Klopp up for his first win at Old Trafford. Unfortunately, his side couldn’t capitalize and take their attack to a hobbling United as football’s oldest rivalry witnessed its first ever goalless draw at Old Trafford. 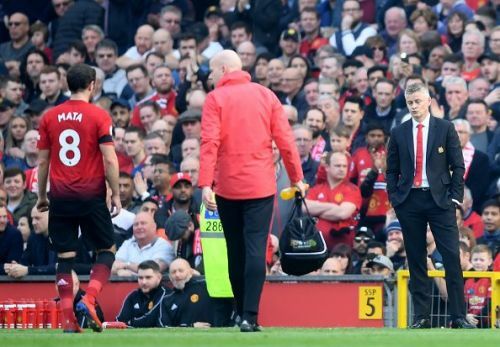 A half, which was more of a medical report than a match one, surely would have had Ole cursing his luck, which was a testament in him cutting a pensive figure in the dugout. And, rightly so, the manager who largely made his name as a substitute himself, was forced into swapping Herrera, Mata and Lingard for Pereira, Lingard himself and Alexis Sanchez respectively even before the half-time whistle. Liverpool too were not far away as Daniel Sturridge suddenly found himself in the heat of a United-Liverpool rivalry, replacing the injured Firmino. And suddenly United, who started out with a 4-4-2 formation, was seen playing 4-3-3. And, even morphed into a 4-5-1 at times in the second half. Now, this is where a manager earns his big bucks. Ole Gunnar Solskjaer, wary of Liverpool’s favorite tactic, did the smart thing. Knowing his team now devoid of the firepower, he asked them to sit deep into their own half. Also, learning from the reverse fixture at Anfield, United were dogged not to fall into Liverpool’s trap, not make it the game their Merseyside rivals want it to be. Closing them down with minimal regard for preserving personal space, the hosts didn’t let Liverpool use their pace, make much of note with the ball and, in turn, curbed what they are adept at – counter-attacks. And, the move was indeed being vindicated with Jurgen Klopp’s men increasingly looking short of ideas to penetrate a well-drilled Red wall. 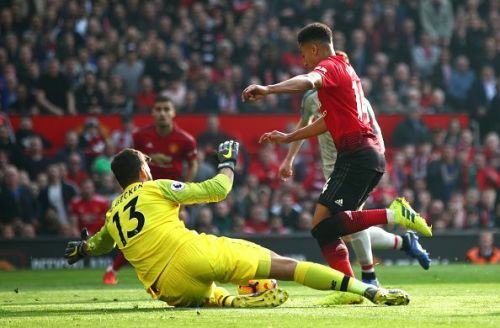 The telling contribution of the half, however, was by Liverpool’s goalkeeper, Alisson, whose brilliant left-hand prevented Manchester United and Jesse Lingard from breaking the deadlock in what turned out to be the most inviting chance of the match as Lukaku set the Englishman up with the subtlest of through-balls. Post the break, a scathed United were somewhat buoyed by the 75,000 odd people, all up on their feet. Suddenly, the red shirts turned from managing the game to attacking it which saw Old Trafford turn as noisy as it has been in the famous Manchester United – Liverpool games of the past. But, it couldn’t entice their players more than coming close to scoring a few times but denied by Liverpool’s high line and the ensuing linesman’s flag. Liverpool desperately needed one of their front players to seize the game by its lapels, liven up the tempo and encourage the away supporters to turn up the volume. As it was, Mohamed Salah toiled away without any real joy, replaced in the 78th minute by Divock Origi. If anything, Salah was the pick of Liverpool’s attackers but he, Sadio Mane and Daniel Sturridge have rarely looked so ineffective as a front three. Not that United were too potent themselves. But, it certainly was frustration turned into jubilation for Ole seeing the determination with which his stoic back-line rose up to the challenge, defending in numbers and making the visitors look timid for long spells. When was the last time we have seen a side not wilting in the face of Liverpool’s sustained, often wild pressure? Liverpool themselves, however, were partially to be blamed for their decision-making and precision. 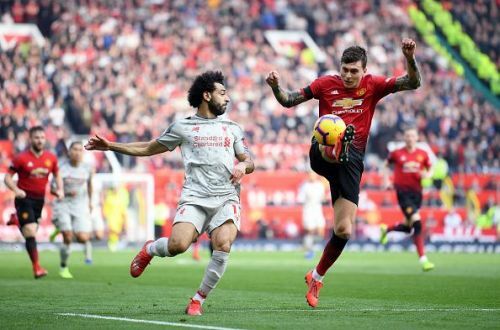 While the full-backs beautifully negated the threats of Mane and Salah, Darmian and Smalling, kicked clear at the vital moments, ensuring Liverpool didn’t manage a single shot on target in the second half. Young, in particular, was the standout, switching play and every time trying to find a United head with his whipping crosses into the box. But what caught everybody’s eye was his scuttling energy, that he can play a 40-yard pass and then scurry upfield in support of his teammate, and, at the same time, never really allowing Salah and Robertson to spread anxiety in the United defense. Not just the stalwarts – Pogba and Lukaku, but with every Manchester United player minded not to surrender, it really augurs well for the club, considering all the latest casualties, with Martial too forced to retire early in the game against PSG. Scott McTominay handed his first start since the 1st of December, albeit manhandling a few times in the box, did exceedingly well to ward off anything Liverpool could throw at him. So did the 23-year-old substitute, Andreas Pereira, who at times even ran amok in the Liverpool defense with his amazing runs. Amid all the ricochets and injuries, Liverpool would definitely be ruing over what was perhaps the best chance to move three points clear of Manchester City. Even Xherdan Shaqiri, who was the difference at Anfield scoring a brace, couldn’t provide the bite his team desperately were missing in tonight’s insipid display. Jurgen Klopp might as well reflect on his side’s inability to conjure up a single clear change, and, even more so, his decision to start Milner at right-back in place of Alexander Arnold, bearing in mind the 33-year-old’s inability in open-play and to dispatch crosses into the penalty area. But, at the end of it all, Liverpool would surely consider themselves grateful to Smalling for being unable to grab a last-gasp winner following the excellent Lukaku’s beautifully weighted cross into the box. As it was, Ole Gunnar Solskjaer became the first Premier League manager ever to secure 26 points off his first 10 matches, while Liverpool's pursuit for a first win at Old Trafford in five years will continue.